Women live longer and are more likely to live alone for significant periods of time. Our workplace participation is often intermittent, and the care of dependents usually falls to us . Though we are better educated, hold more managerial, executive, and professional positions than ever before, and now have serious money to show for it, we often lack confidence when it comes to personal finance. Women want to be educated before we make decisions. And we want to be advised in a way that recognizes our values, our lifestyles, and our unique learning styles. We don’t want to compete. We want to collaborate. 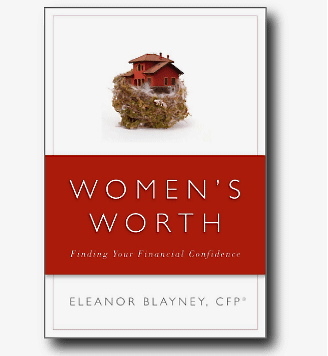 In Women’s Worth, President of Directions and Certified Financial Planner™ Eleanor Blayney breaks through the traditionally male-dominated field of financial advice to offer information you—as a woman— can really use. Her frank approach intersperses practical advice with easy-to-do exercises that will help you understand your beliefs about money, learn the fundamentals of financial planning, and gain confidence in your financial know-how.